Chile's Fernando González and Nicolás Massú discuss their triumph in the Men's Tennis Doubles at the Athens 2004 Olympics, Chile's first ever Olympic gold medals. Subtitles available via closed captions. Q. Can you describe what you felt out there at the last point? FERNANDO GONZÁLEZ: Many things. I was really tired in the end, and I said I don't want to finish with a double fault, but it was. I was tired. But, I mean, after that, he just dictate. The atmosphere was great. I save a couple of match points before, and I felt that it's gonna be the end, you know, and then I have the chance to keep playing. I have my chances. But Nicolas played better in the important moments, and I was a little bit tired at the end. Q. What went into the decision to decide to retire here? Just the hip? FERNANDO GONZÁLEZ: To retire or retire in Miami? 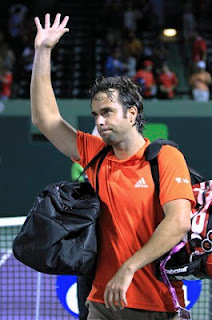 Fernando Gonzalez was beaten by Nicolas Mahut 7-5, 4-6, 7-6 (3) in his first round match at the Sony Ericsson Open in Miami. The Chilean reached the 2007 Australian Open final, won 11 career singles titles, the 2004 Olympic gold medal in doubles and bronze medal in singles, along with a silver in singles in 2008. ATP World Tour stars, including Roger Federer, Rafael Nadal, Andy Murray and Novak Djokovic, pay tribute to Chile's Fernando Gonzalez, who is retiring after the Sony Ericsson Open. Fernando Gonzalez, who reached a career high of number 5, will play his last professional tennis tournament in Miami this week. The Chilean, who received a wild card into the Sony Ericsson Open, will face Nicolas Mahut in his first round match. 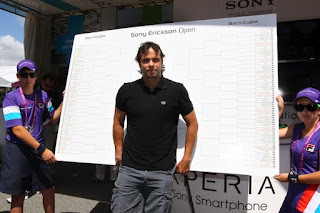 Fernando Gonzalez helped Tournament Director Adam Barnett, and Tournament Referee Mark Darby to make the Men's Draw during Day 1 of the Sony Ericsson Open at Crandon Park Tennis Center in Key Biscayne. Kei Nishikori scored a 7-5, 3-6, 6-2 victory over Juan Carlos Ferrero and reached the second round of the Copa Claro in Buenos Aires. Fernando Gonzalez advanced after Albert Montanes retired during the second set with a hip injury. Gonzalez was leading 7-5, 1-0. 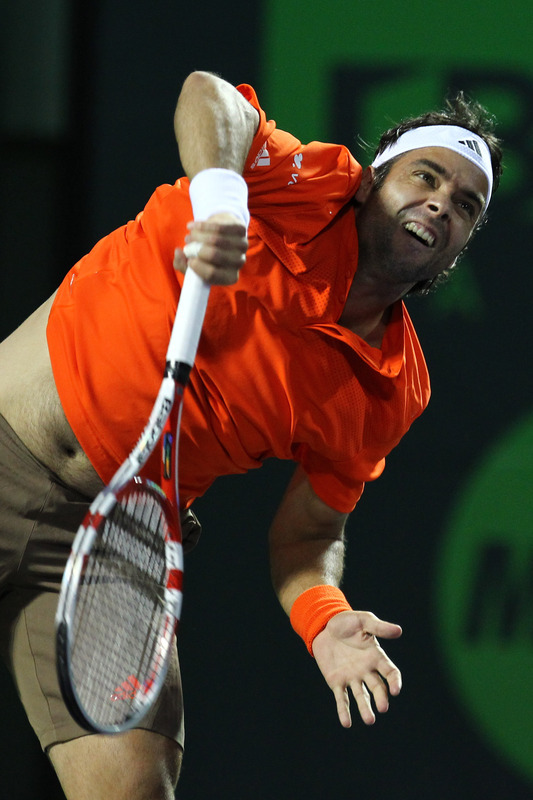 Stanislas Wawrinka beat Horacio Zeballos 6-3, 6-4 to advance. Also in the first round, Carlos Berlocq defeated Pere Riba 6-7 (5), 6-0, 6-0, Victor Hanescu topped Pablo Andujar 6-3, 4-6, 7-6 (4) and Facundo Bagnis beat Leonardo Mayer 5-7, 6-4, 6-2. Fernando Gonzalez lost to Igor Andreev 6-2, 6-3 in the first round of the Brazil Open 2012. Gonzalez lost in just more than an hour. The Chilean had the support of the Brazilian crowd but won only six points on Andreev’s service games. “I was happy, I tried to enjoy all the moments because I know the end of my career is near,” said Gonzalez, currently ranked 266th in the world. Fernando announced he was retiring because he lacks the energy to play at the top level after a series of back, knee and hip injuries in recent years. Fernando Gonzalez announced just a few moments ago that he will retire from professional tennis after playing the Masters in Miami in March. The Chilean, who won 2 Olympic medals, won´t wait until the London 2012 Olympics to retire as his body is not 100%. "I've decided to end my career as a professional player in Miami," said Gonzalez. He will also play in tournaments in Sao Paulo and Buenos Aires. Federico Delbonis upset Thomaz Bellucci 6-2, 7-5 at the VTR Open to reach the quarter-finals. Delbonis broke Bellucci four times from five opportunities and dropped serve just once to claim the win in one hour and 31 minutes. He will next plays Carlos Berlocq, who beat Diego Junqueira, 6-1, 6-0 in 62 minutes. Joao Souza defeated Fernando Gonzalez 6-3, 7-6(6). Souza converted five of his eight break point chances to clinch victory in one hour and 47 minutes. 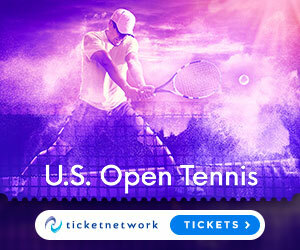 The 23-year-old Souza will face either Juan Ignacio Chela or Horacio Zeballos. Carlos Berlocq defeated Daniel Gimeno-Traver 7-5, 6-0 to reach the second round of the Vina Del Mar VTR Open. The tournament is the first event on the monthlong clay court swing around Latin America. Berlocq and Albert Montanes are the only seeded players in action on Tuesday. Fernando Gonzalez defeated Pere Riba 6-4, 6-4 in his opening match at the VTR Open in Viña del Mar Tuesday. Gonzalez, sidelined with a knee injury for most of 2011, took the match in one hour and 28 minutes to win his 2012 season debut. 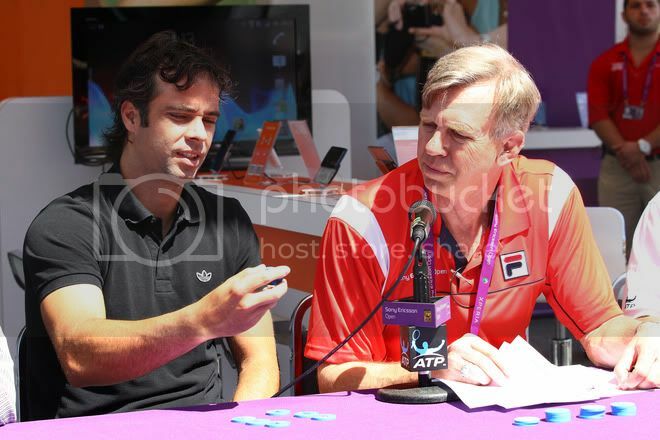 Fernando Gonzalez said he has no plans to retire after an exhibition with Gael Monfils. "When I do retire, you will hear it from me—not from sources close to the player." Gonzalez underwent hip surgery in October of 2010 and only played a handful of tournaments in 2011. The Chilean said that he has entered the Australian Open, but may not make the trip. The 2008 Olympic silver medalist wants to play in the 2012 Olympic Games in London. Fernando Gonzalez, James Blake, Viktor Troicki and Janko Tipsarevic imparted their tennis skills on Manchester United defenders Rio Ferdinand and Nemanja Vidic on Friday in Washington D.C..
Manchester United, English Premier League Champions, will play against the Barcelona Washington where the tennis players are to participate at the Legg Mason Tennis Classic. Vidic and Gonzalez defeated Ferdinand and Blake in a friendly match. “My partner let me down man....saying that though but I ACED Gonzalez....yes you read that right, I ACED a top 10 calibre player! POW!! 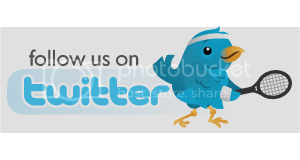 !” Ferdinand later tweeted.